Home Skin care Natural Remedies To Cure Acne Scars? 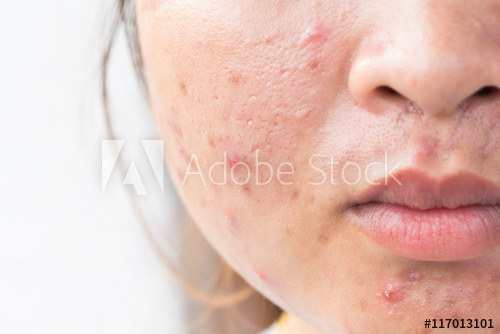 Acne scars are as bad as acne itself that it left behind.If you have a acne problem that you suffer with and what is left behind can often make anyone feel self conscious and rather unhappy with the appearance.But you don't need to worry? There are number of solutions to remove acne scars forever?I will suggest you to use natural home remedies to remove acne scars permanently.It can save you from feeling bad about your appearance and remove your acne scars permanently. Here in this article i am sharing some relatively easy and quite effective home remedies to remove acne scars permanently. Do you know that retinol was an best effective treatment for acne scars?Retinol controls oily skin as well unclogs skin pores and prevents further blackheads,acne and pimples. When your skin pores remain cleared of the build up and breathe,you will suffer from fewer breakouts.But instead of this her is the best news for you because retional has been shown to both prevent and undo acne scarring. Glycolic acid easily penetrates the skin and used in lower concentrations in many skin care products. It improves the skin appearance by reducing acne scars,fine lines,wrinkles and the overall texture of your skin. It also dissolves dead skin and allows the new skin to come to the surface. Olive oil is a powerful home remedy for a variety of reasons, and this applies to the removal of acne scars. Take a much needed amount of olive oil and rub on your skin it will moisturize it and help to lessen the appearance of any acne scars. Fresh cucumber is a very effective home remedy and the excellent way to reduce the appearance of acne scars. As cucumber face mask is placed onto any acne scar and left on to soak in,it will acts as a best natural homemade beauty remedy in battling these unsightly blemishes. Use cucumber face mask once or twice a week until you will get the desired result. When it comes to a natural remedies to cure acne,look no further than your kitchen. Take a lemon and squeeze the juice from the lemon. Now,place or apply the juice on the acne scar with a cotton ball. After that let it soak in and dry before removing it with water. I am sure that you will be amazed at how this natural home remedy can lighten the acne scar or blemish. Take a tomato and slice up it and place on your face or acne scar for half an hour. This can you a refreshed felling and minimize the appearance of acne scars. Tomato juice has some very powerful qualities in not only preventing acne or acne scars but also in freshening the skin.